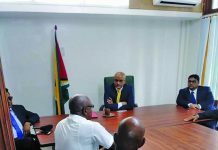 Hours after the People’s Progressive Party/Civic called out the Guyana Police Force (GPF) over taking political instruction from the Government to arrest Opposition Leader Bharrat Jagdeo upon his return from the United States, the Force has denied the contention. 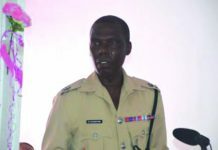 While denying taking “political instruction”, the Guyana Police Force did not, however, deny that the Opposition Leader will be arrested. 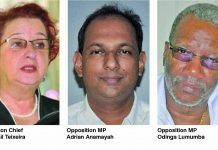 The PPP, in a statement on Monday evening, said that based on reliable information received, the GPF has been instructed by Congress Place and the Ministry of the Presidency to arrest, detain, and charge Jagdeo for wilfully inciting or attempting to incite racial hostility in relation to a speech at Babu Jaan, Port Mourant, Corentyne, on March 11, 2019. 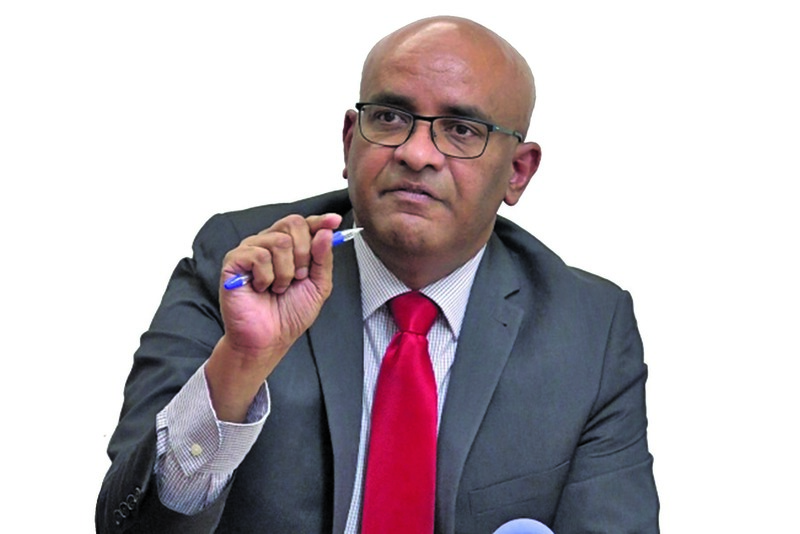 According to the PPP, the speech by Jagdeo at Babu Jaan, Port Mourant, Corentyne, in March was widely covered by the media, noting that it is devoid of any racial content and simply called upon all Guyanese to reject the Government, including the President and the Prime Minister, after March 21, 2019, “by chasing them”. According to the party, based on the passage of the No-Confidence Motion as of March 21, 2019, “the Government would have become illegal and the President, the Prime Minister and Ministers of the Government would no longer be lawfully entitled to hold their governmental offices because of the successful passage of a No-Confidence Motion passed against the Government in the National Assembly on the 21st December, 2019, and the ruling of the Chief Justice which upheld the validity of that No-Confidence Motion. This speech was delivered before the decision of the Court of Appeal in relation to the no-confidence cases”. The party noted that it must be emphasised that the Leader of the Opposition directed his comments to both the President and the Prime Minister and the entire Government and his appeal was to all Guyanese. “It is therefore bewildering how these comments can be interpreted as conveying any racial sentiments whatsoever. Indeed, on the 21st March 2019, under the stewardship of the Leader of the Opposition, the PPP held protest actions in various regions across the country. These protests were peacefully and lawfully conducted and there was not a single reported incident of violence or racial hostility of any kind emanating therefrom,” the party stated. 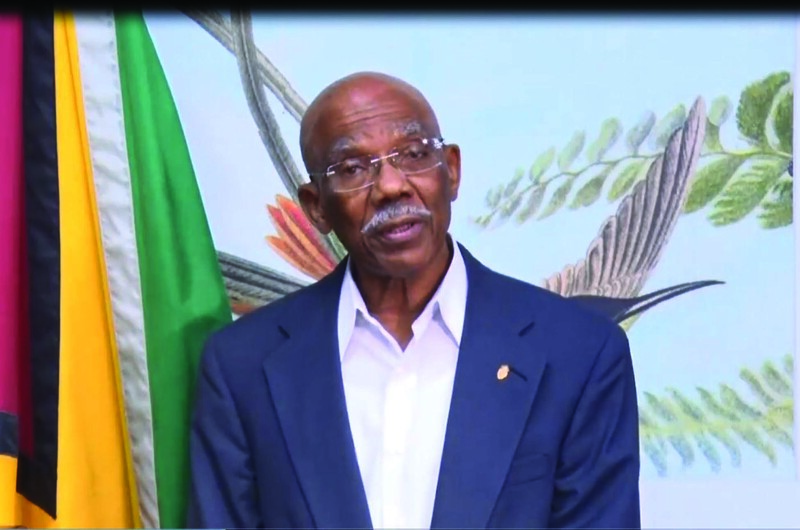 It added that it is also aware that television stations that carried a similar statement made by the General Secretary of the PPP at a press conference held on March 14, 2019, were served with notices dated April 11, 2019, from the Guyana National Broadcasting Authority (GNBA) urging that they immediately desist from broadcasting such content. “We maintain that the Leader of the Opposition has done nothing other than exercise his democratic, constitutional and political right to be critical of a Government that has flagrantly violated the Constitution and would have been occupying governmental office unconstitutionally, tyrannically and undemocratically. In fact, the duties of the Leader of the Opposition include publicly exposing the vulgar constitutional violations being committed by the Government,” the PPP said. 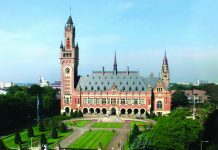 The party also called upon the diplomatic and international community to note Guyana’s rapid descent into a police state. In its denial, the GPF stated that it “wishes to clearly refute such statement and to inform all and sundry that the Ministry of the Presidency, the People’s National Congress/Reform or A Partnership for National Unity have not given any such instruction or advice”. 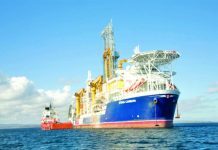 Additionally, the Guyana Police Force stated that it remains “a professional organisation and any action previously or currently being taken, is wholly pursuant to legal advice obtained and/or to engage in investigations”. Meanwhile, the Ministry of Presidency also said that no such instruction was issued by the Head of State, any Minister of Government or any Government official to instruct the Guyana Police Force to arrest the Opposition Leader. In the same breath, the Ministry of the Presidency stated that the Government is of the view that the Constitution, to which every Guyanese is subjected, is supreme and if a violation has occurred, then, by all means, the law must take its course. 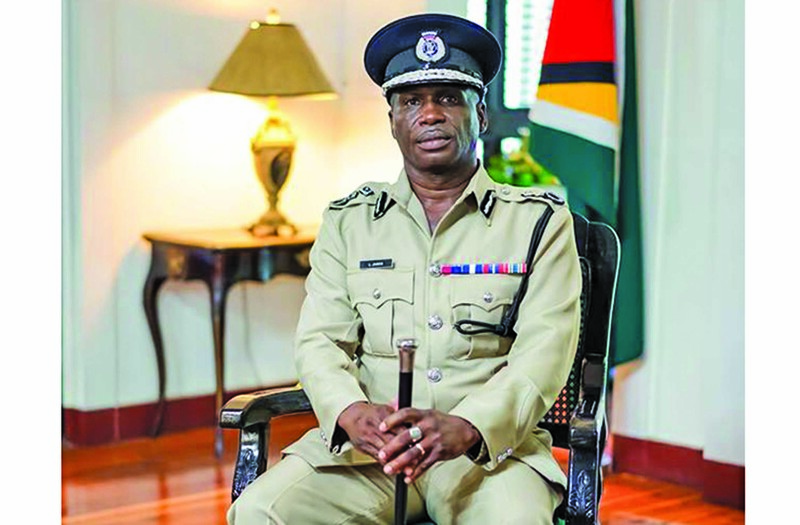 The Guyana Police Force must carry out its functions, without fear or favour.